STONETECH® Enhancer Pro Sealer is a heavy duty sealer that seals and enhances the surface to a deep rich color. 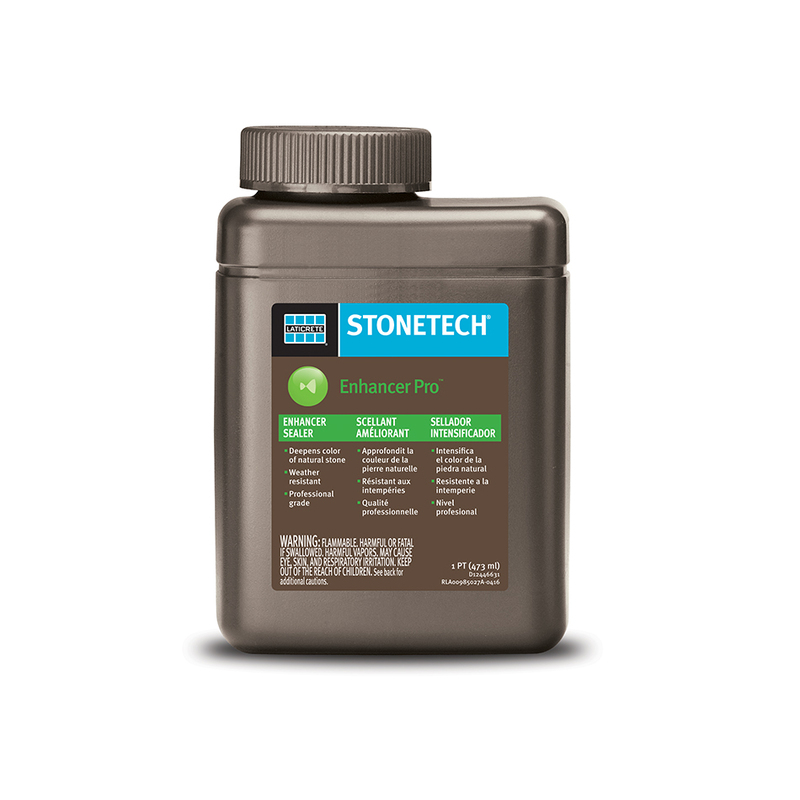 It is recommended for use on slate, travertine, tumbled stone, and bluestone. Solvent-based formula good for interior and exterior applications.